06/28/18, 09:04 AM | Industrial Robotics | End-Effectors, soft robotics | Soft Robotics, Inc. In the past evaluating automation was typically about the Return On Investment (ROI), but more and more companies are considering automation because they are not able to staff their current manual operations. The high-costs and inefficiency of last-mile delivery make it prime real estate for automation, with the autonomous delivery market looking poised for exponential growth in the coming years. We solve the motion platform problem with a combination of innovative techniques. These include: an extremely accurate sensor system, high speed computing, optimized power to weight ratio, and 3D printed parts. In the past few years, we have found that ultra-short pulse (USP) lasers are being used more and more for medical device manufacturing - from stents and catheters, to wire stripping and balloon texturing. Its not a stretch to imagine solo and small farm owners keeping up with the major organizations in the business thanks to improved efficiency, maximized output and faster harvest and care times. 06/14/18, 08:14 AM | Factory Automation | Conveyors | Dorner Mfg. Corp.
A Robosuit® is a conformal, custom-fitted cover that protects a robot from extreme manufacturing (or operating) conditions. It fits over the robots castings and servo motors without impacting the robots articulation or work-envelope (reach). Exoskeletons are rapidly gaining momentum across myriad geographies. The huge presence of exosuit manufacturers and escalated product demand across military & healthcare sectors are anticipated to stimulate North America exoskeleton industry outlook. 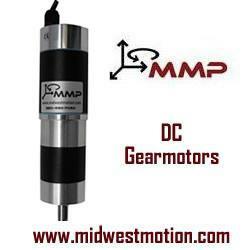 06/12/18, 11:09 AM | Industrial Robotics, Factory Automation | DC Motors, gearmotors | MMP Inc. / MIDWEST MOTION PRODUCTS, INC. If the duty is continuous, that means the motor, if properly sized, will reach thermal equilibrium typically in about 20 Minutes of continual operation (possibly more, depending on the size of the unit).